After enjoying breakfast in the hotel, drive for Gajner. En-route your journey to Gajner, you will be exploring the very famous Junagarh Fort in Bikaner. You will also be visiting Camel breeding farm so as to get an idea about camel breeding. Later on in the day, you can also visit Lalgarh Palace that is the right blend of European, Rajput and Mughal architecture. The palace is now a luxury hotel. After arriving at Gajner, check in at the hotel and overnight stay in Gajner. After having breakfast in the hotel, head towards Gajner Wildlife reserve. Also visit Khuri which is a small rural community. After arriving at the Khuri, you will be check-in to the desert camp. 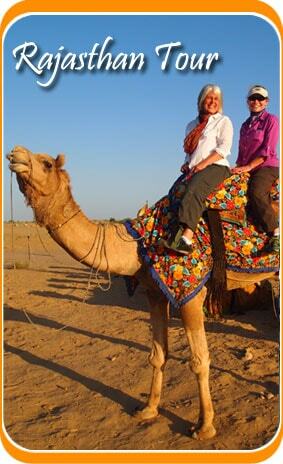 Enjoy camel safari in evening followed by the performance of local artist. Spend night at the desert camp with tented accommodation in Khuri. After breakfast in the hotel, enjoy the complete day with activities like camel safari in Khuri village and in evening enjoy bone fire and cultural dance. Spend night at the desert camp with tented accommodation in Khuri. After breakfast in the hotel, you will be visiting Fort Chanwa that is located in Luni, a small village. Check in at the hotel and later on viist Fort Chanwa. Return to hotel and overnight stay in Luni. After breakfast in the hotel, drive your way towards Jodhpur. Check in at the hotel after arrival in Jodhpur. Later in the day, visit Umaid Bhawan Palace and Mehrangarh Fort. Umaid Bhawan Palace’s one castle has been converted into hotel while one part has been preserved as museum for ammunitions and artillery. In the evening, you will be transferred to the hotel and overnight stay in Jodhpur. After enjoying breakfast in the hotel, proceed towards visiting Ranakpur that is famous for Jain Temples. There are 29 halls that are supported by 1444 columns in the temple complex. En route, you will be visiting Narlai community. Overnight stay in Ranakpur. After having breakfast in the hotel, head toward your journey for Udaipur that is also known as the city of lakes. You will be visiting Aravali Mountain Ranges and Kumbhalgarh fort while your journey. Check in at the hotel in Udaipur. Later in the day, visit the very famous the City Palace near Lake Pichola, Sahelion-ki-bari. In evenings you can enjoy boat rise. Return to the hotel and overnight stay in Udaipur. After having breakfast in the hotel, check-out and drive to Bijaipur. En-route visit Chittorgarh having the history of love and courage and the only one of its kind as per Rajput customs and culture. Visit Chittorgarh Fort which is a vast and huge cpmplex. After the visit to Chittorgarh fort drive towards Bijaipur. Arrive Bijaipur and check into your hotel. Later in afternoon short visit of the Bijaipur Castle one of the traditional hotel now. Back to the hotel in the evening. Overnight stay in Bijaipur. After having breakfast in the hotel, start for Bundi, the panoramic little town. After arriving at Bundi, you will be transferred to the hotel. Later in the day, visit Taragarh Fort that is symbolic to Rajput structural design. Other places that you can explore are Sukh Mahal. Return to the hotel and overnight stay in Bundi. After having breakfast in the hotel, start your journey for Samode. After reaching Samode, you will check in at the hotel. 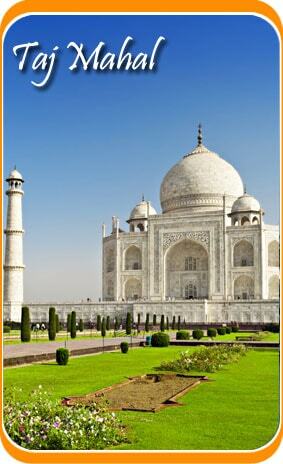 Places that you can visit here are Havelis, palaces and citadels. Overnight stay in Samode. After enjoying breakfast in the hotel, start your journey for the Pink City, Jaipur. Post arrival at the Jaipur, check in at the hotel. Later in the day, you will be visiting places such as Jantar Mantar, City Palace and Museum and Hawa Mahal. Evenings you can spend exploring the market. Overnight stay in Jaipur. Post having breakfast, visit Amer Fort and other sightseeing. Later drive to Delhi international airport to board onward schedule flight.